Properties in the Civic Center district date from the City Beautiful/City Planning era in Des Moines, with known examples dating from 1900 to 1938. Construction plans date from the progressive period in Des Moines and are directly related to efforts to bring about orderly change. Their locations reflect the contributions of such noted national planning experts as Warren Manning and Charles Mulford Robinson whose plans and reports influenced Civic Center development. 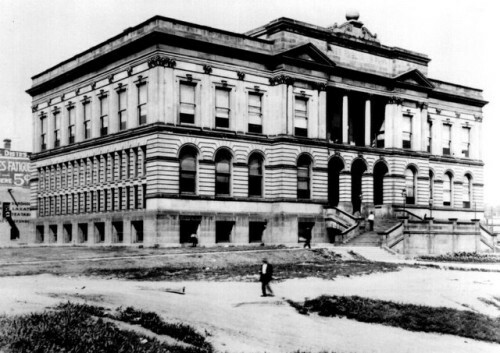 The district includes buildings such as the Armory and World War Memorial Building (now a City administration building), United State Post Office, United States Courthouse, Municipal Building, Municipal Court and Public Safety Building, and Public Library (now the World Food Prize Headquarters). Other contributing structures include bridges, river walls, and dams across the Des Moines river.